I don’t really do domestic politics, but what do you guys think of Trump’s SCOTUS pick? I’ve been working on some material about instincts and thought this was an interesting graph, relevant to my theory that pregnancy/childbirth have a physical (chemical/hormonal) effect on women, causing their mothering instincts to kick in (mothering isn’t nearly as useful before you have kids as after,) which in turn causes a change in attitudes toward abortion. Obviously the graph proves little, because people who don’t approve of abortion are predisposed to have more children than people who do. What I really want is a time-based graph, measuring attitudes before and after pregnancy. But I’m having trouble finding that. 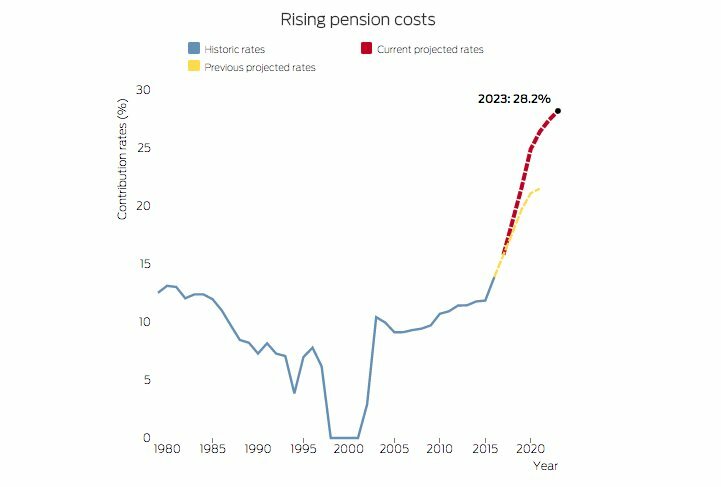 And here’s a graph of pension obligations. Pensions: they’ve got serious issues. I wanted to ask what the German Nazis view on IQ and IQ testing was. From what I know they didnt realy percieve intelligence as a very valuable trait in the first place, prefering physical strenght, endurance and “nordic racial traits”. They bred warriors not thinkers. Also one does hear that they banned IQ testing or at least strongly disliked it. That’s all for now. What are you thinking about? I plaay the long game and you never really know a person so we won’t know howTrump or any of his nominations work out for about 20 years or so. They would come right up to you, follow you around like puppy dogs in the hopes you’d feed them. Feeding them is a big no no but they only had one wildlife agent for that section of the island and he was a drinking partner…..
Nice. Turtles are pleasant animals. They quickly became my favorite non food sea critter to interact with. Since we seem to be open for questions, I have two. Maternal bonding seems well documented. Is there any documentation that there is a similar paternal bonding mechanism? I’m sure there is; I know men who adopted children. 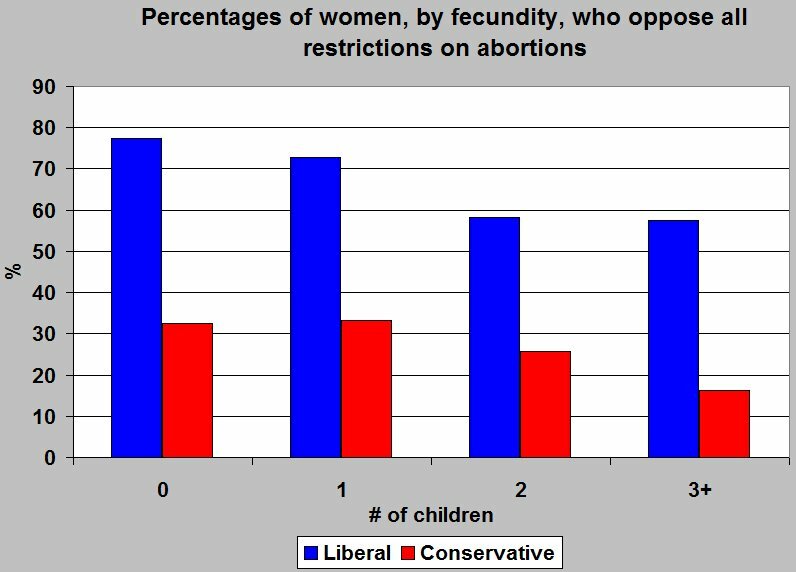 On the pregnancy/abortion graph: given variation w/in libs/cons is so narrow compared to difference between the two, isn’t what you really want to look for evidence that having each additional kid causes women to defect lib > indy > cons? That would definitely be great to look at.